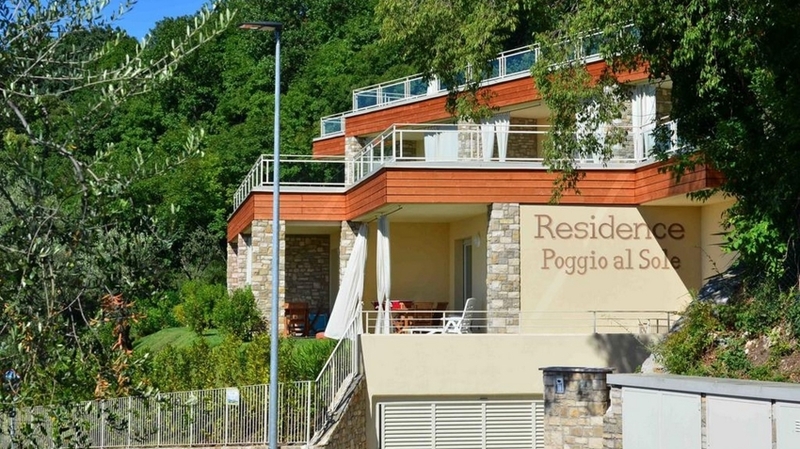 The Apartments Il Poggio al Sole are located only 800 m from Toscolano-Maderno and offer a wonderful panoramic position with view of Lake Garda. Surrounded by a picturesque hilly landscape, our apartments are ideal for tranquillity seekers, couples and active travellers. 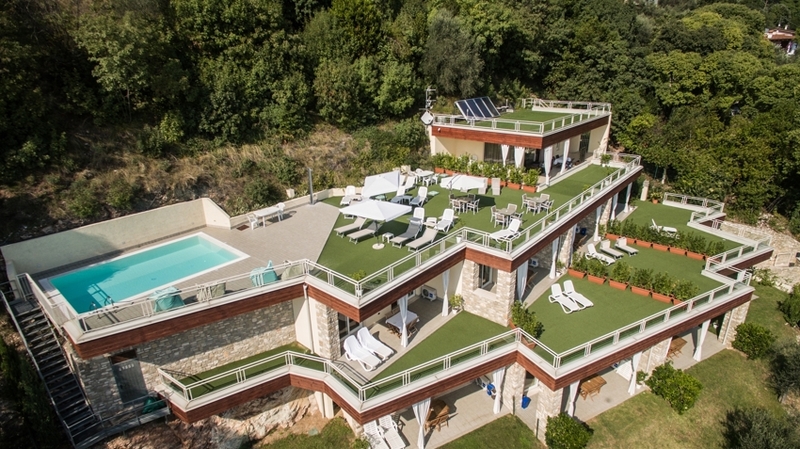 The position in the middle of Alto Garda Bresciano Nature Park and the proximity to Lake Garda guarantee the best conditions for tranquillity and relaxing holiday pleasures. 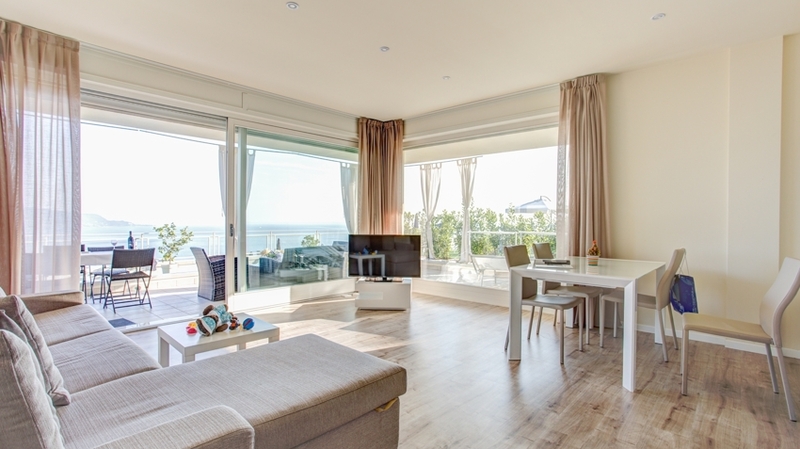 For our guests, we offer nine luxurious apartments that are furnished with great attention to detail and in a modern way. 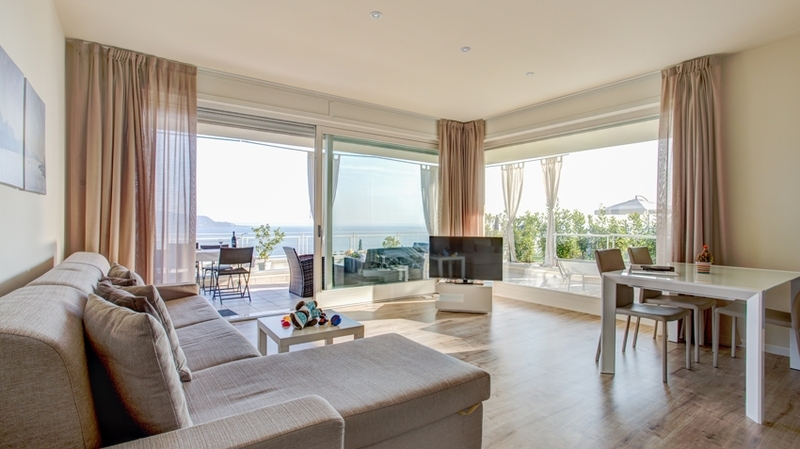 Each apartment has 65 m² and is ideal for up to 6 persons. 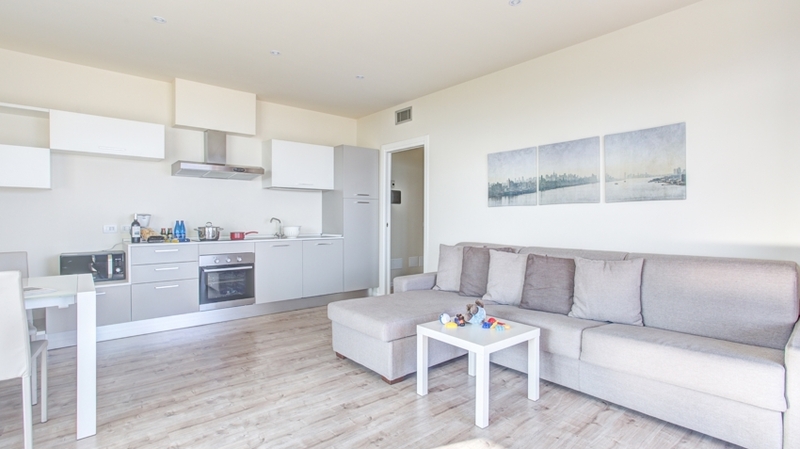 In addition to a cosy living area with well-equipped kitchenette, they also have a sofa bed for 2 persons, free WLAN, satellite TV, a small corridor with safe, a double room as well as a bathroom with shower/WC and bidet. Pets are allowed. In the underground garage, you can park your car as well as your bikes. The panoramic pool with sun terrace is the perfect retreat for sun lovers. Our guests will also look forward to a small fitness area on the ground floor and to benefit from the spa offer at Hotel Spiaggia d’Oro. The hotel’s Restaurant La Veranda offers delicious specialities. 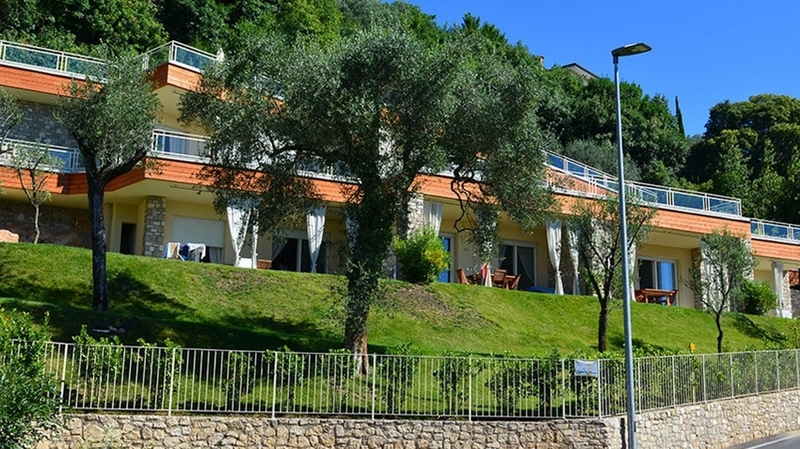 Our Apartments Il Poggio al Sole in Toscolano-Maderno is the ideal accommodation for tranquillity lovers and nature fans. 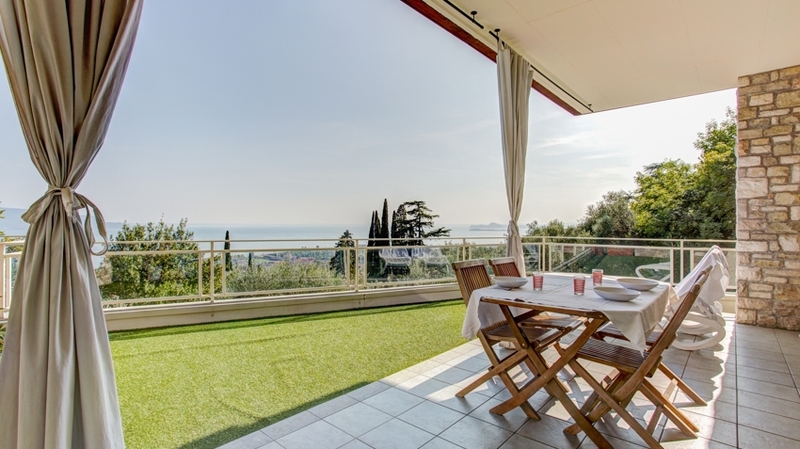 In addition to Lake Garda and its enchanting promenades, you will also look forward to excursions along the region’s typical citrus plantations, to Valvestino, to the “Hruska” botanical garden by André Heller or the fortress of Manerba del Garda. 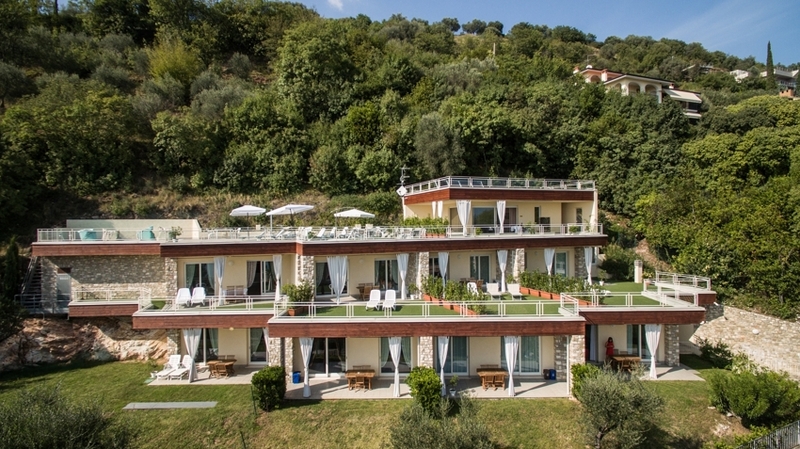 Our team at Hotel Spiaggia d’Oro will also be pleased to help you selecting your tours as well as with the rental of various sports equipment. 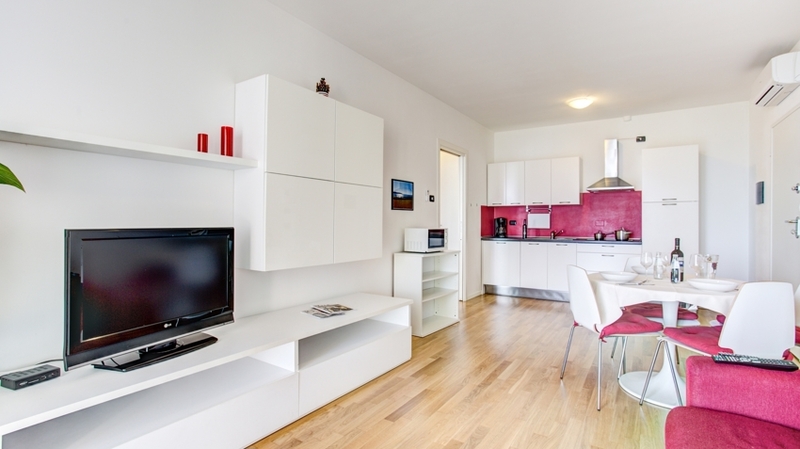 The Apartments Garden are situated on the ground floor and they measure 65 mqs. They have a tiny garden, they can accomodate maximum 4 adults and they are fit for those who travel with their small 4 legs friends. 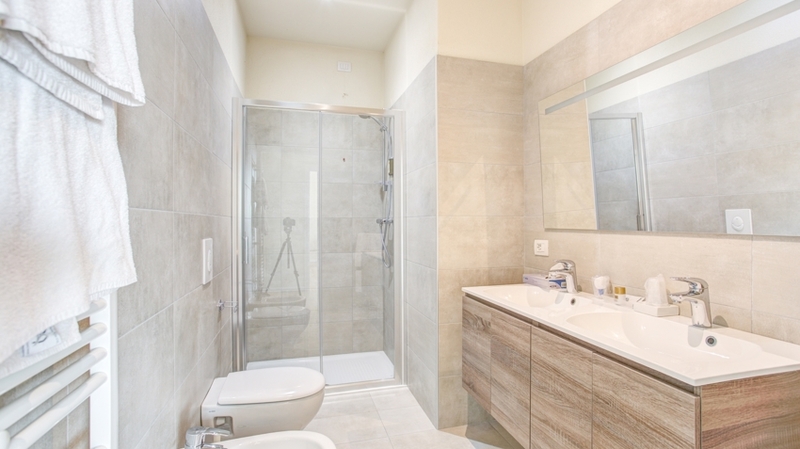 The Apartments Lake are located on the first floor and they measure 65 mqs. 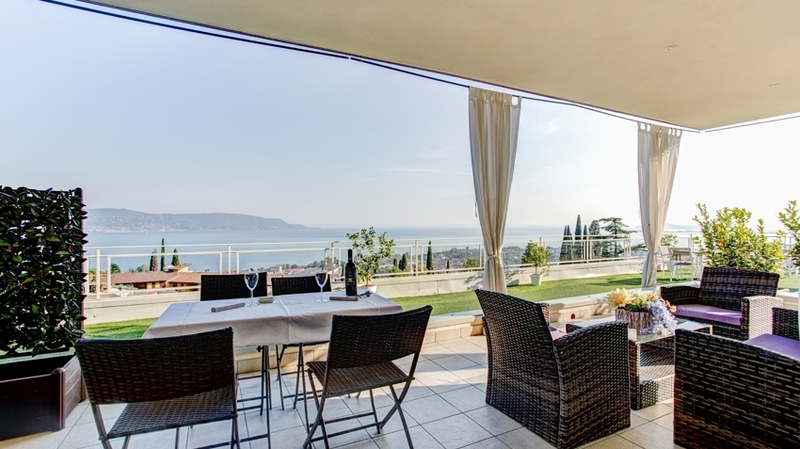 They have an ample terrace with panoramic view on the lake and they can accomodate maximum 4 adults. 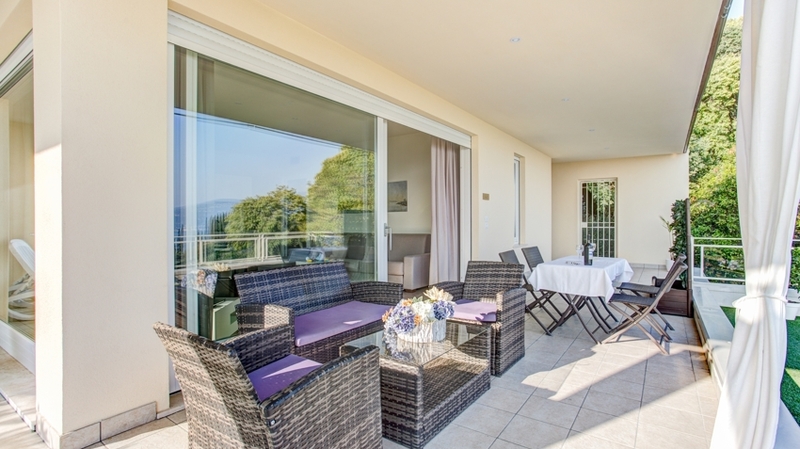 The Apartment Suite is situated on the top floor of the Residence and measure 80 mqs. 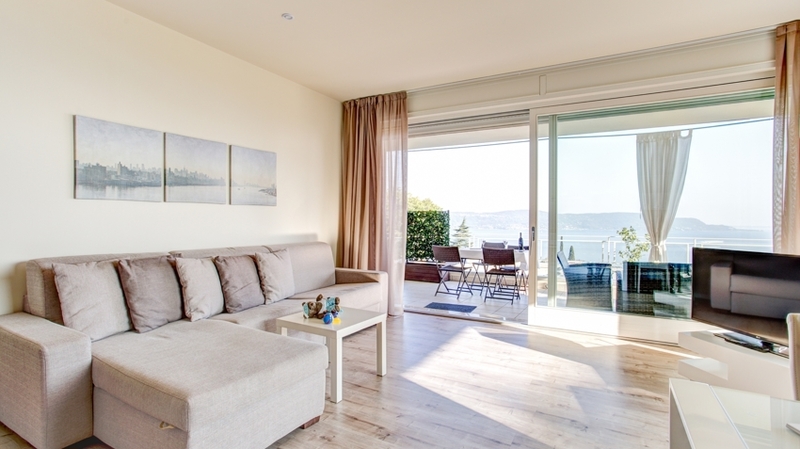 It allows a special panoramic view on the Lake and it can accomodate maximum 6 adults.